This week, Year 2 have been to their very first school residential. We went to the Peckwood centre, just outside Alvechurch for 2 days. Despite the forecast, the weather was mostly dry and we spent lots of time outside playing on the equipment, exploring the forest and using many of the skills we have learnt at Forest School this year. We enjoyed playing together on the climbing frames and in the play area, especially using the fireman's pole! We made a leprechaun land out of things we found around the forest. While we were in the forest, we did a treasure hunt and had to find items including something yellow, an elf's hat and a dragon's scale! In the evening, we had a night walk with our torches. Mr Cross cooked us a delicious roast dinner and then we had hot chocolate, marshmallows and hot dogs around the campfire. We used our typing skills to write about some of the things we enjoyed the most. I liked roasting marshmallows and drinking hot chocolate. We had a dark, scary walk the fun part was rolling down the hill. Did you no we had a sleep over? With our sleeping bag. How much fun we had! We had a midnight feast with our chocolate. We enjoyed peck wood. My favourite thing was the night walk. My favourite thing was the fire and the hot dogs. Our favourite thing was everything. And we played some games. The treasure hunt was fun. We split into groups and found some stuff. Our favourite thing was eating gooey marshmallows and having free time in our dormitories. In the night we had a midnight feast. We had lots of fun. We had a yummy ,hot roast dinner. What a wonderful day it was ! We had the best time ever! We had yummy, nice marshmallows and hotdogs. I liked playing and sleeping all through the glimmering night. We had lots of fun. What a wonderful day it was! (we even went in the forest at night time). We walked a long way it's good for our body. Year 2 had a brilliant time! On Wednesday 28th June ten children from Year 5 represented Chilcote at a mixed cricket tournament. The tournament took place at Moseley Ashfield Cricket Ground. The children were put into a league with two other teams. Their first game was against Grendon. Grendon scored a total off 217 runs (each school starts on 200 but loses 5 runs for each wicket lost). Chilcote then batted and scored an impressive 277. In their second game the children played against Allens Croft School. Allens Croft batted first and finished on 199 runs. Chilcote fielded and bowled brilliantly. Then, Chilcote batted and scored a great total of 323. This meant that Chilcote qualified for the final. However, before they played they game they had a friendly against Yardley Wood B. Yardley Wood B posted 212 runs and Chilcote replied with 276 runs. The children really did play well and performed some great running between the wickets. In the final Chilcote played against Yardley Wood A. Yardley Wood opted to bat first and did well. They got a good score of 230 runs. Chilcote needed to bat well to beat that total. Josh opened and did incredibly scoring 5 sixes in his two overs at the crease. This put Chilcote in a commanding position. However, a few sloppy wickets brought the game back close. It was a nervy finish to the match but in the end Chilcote finished with 254 runs and won the tournament. Well done to all of the children involved in this event, another fantastic performance by the children of Chilcote!!! Today we welcomed parents from Reception and Year 1 to come and learn about how to support the children in developing number sense and fluency. • Working with larger numbers does not necessarily make your child a better mathematician. Focus on your child being fluent with numbers to 10. • Being able to count is not the same as understanding the true value of a number. • Playing, talking and experiencing number is much more important than pen and paper work. Play games and ask questions such as: ‘Why is this?’; ‘How do you know?’; ‘Could you do this in another way?’. • Try to avoid counting whenever possible. Ask children to group objects to help them to work out the total, for example a child may not be able to recognise six objects but if grouped in two groups of three this may help. • Use egg boxes for ten frames, milk bottle tops, dominoes and dice to help children recognise numbers from pictures. We played a variety of games using dominoes, dice, tens frames and dot cards. Here are some links to some of the games which you may wish to try at home. A big thank you to parents who were able to attend and for showing so much enthusiasm. Please do come and see me if you would like further information. On Tuesday 20th June Reception visited Hatton Country World. We enjoyed our journey on a double decker bus and had a fantastic day meeting many different animals. We fed them and learned lots of information about their living conditions and how to care for them. We especially enjoyed meeting all the guinea pigs- they reminded us of our lovely class guinea pigs- Jaffa and Betsy. We also had a tractor and trailer ride, watched the sheep race, found out about the different crops growing and explored the sand play and JCB trucks and diggers. Thank you very much to all of our adult helpers for enabling us all to have a lovely day out. We were all very tired by the end but had thoroughly enjoyed our day and all learned lots of new information. On Tuesday 20th June, Year 1 had a special visit from Mrs Brooks the music teacher. Mrs brooks came to tell the children a little bit about how violins are made, what they are made from and show a demonstration of what you would learn in a normal violin music lesson. The children enjoyed hearing about the beautiful violin and learning some new songs as part of our music warm up. The children behaved beautifully and asked lots of questions. Thank you to parents who also came along to watch the demonstration. Last Thursday, Year 5 and 6 were extremely fortunate to hear an assembly by a current Member of Parliament. Her name is Jess Phillips (the Labour MP for Yardley) and she came to speak to us about life as an MP and the role of women. In particular, Jess Phillips stands up for females in politics – women who don’t, at the moment, have the same chance as men. Did you know, for example, that in the previous election there were only 191 female MPs out of 650?! Luckily, after the recent 2017 General Election, that number has risen to 208 MPs!!! This is better but still less than half. Jess believes that it is essential that girls (and boys) should try and become whatever they want to be. And that more girls should aspire to be involved in politics because whenever you picture an important politician, you think of a man. This should not be the case in the future! 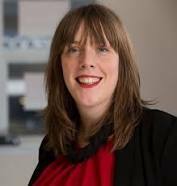 Jess Phillips, MP for Yardley. On Wednesday 14th June twelve children from Chilcote attended a mixed rounders tournament at Kings Norton Girls' School. There were a total of nine schools at the tournament split into two groups. Chilcote were in the group of five teams, so played four games! In their first game Chilcote played against Hall Green and they won the game 3.5 to 2.5. In their second group game they played Grendon A, they played really well and won the game 4v1. In the third game Chilcote played against The Oaks and best them too with a score of 4 to 1.5. In their final group game they played against St Josephs, who fielded like a well oiled machine, and lost 3v0. This meant that Chilcote finished second in their group and played in the semi finals against the winners from the other group, Grendon B.
Chilcote played really well and restricted Grendon to no rounders. They then batted the best they had all day to score 5.5, so they reached the final! In the final Chilcote were up against St Josephs again. This time Chilcote knew they were in for a tough match and played accordingly! They were excellent and fielded for their lives! The final score was 2v1 to Chilcote. Another fantastic achievement, well done to all of the children who were involved, who represented the school brilliantly!!! On Tuesday Year 1 went on a trip to Plantasia. We had a great time, there was lots to do. We had a Mini beast hunt, we went on a Wild walk and we found out how the birds feel in the tree tops by going on a tree top walk way. We enjoyed our lunch in the big tent and we had time for a play on the Pirate Ship. By the time we got back to school we were very tired. Last Wednesday it was 1 Fir's turn to help Dave with the gardening. They had a fantastic time helping him to plant flowers, tidy up and do digging. Thanks Dave. They even had to use the wheelbarrows!